Mr. Burstall practices in the area of commercial law with an emphasis on securities law. Mr. Burstall’s practice includes all aspects of securities law from both the perspective of an issuer or an underwriter, including initial public offerings, secondary financing, mergers and acquisitions, all dealings with regulators including stock exchanges and securities commissions, and corporate governance. He also practices in business and corporate commercial law, including all forms of corporate governance, shareholder agreements, and managing shareholder disputes. Mr. Burstall is a director or secretary of several issuers both, listed or private. Mr. Burstall is also a director or trustee of charitable organizations. In addition, Mr. Burstall has in the past and continues to sit on certain advising committees of the Alberta Security Commission or The TSX Venture Exchange Inc.
Mr. Burstall was born in Winnipeg, Manitoba and raised in Calgary, Alberta. He received his Bachelor of Commerce from the University of Calgary in 1982 and his Bachelor of Laws from the University of British Columbia in 1985. He was admitted to the Alberta Bar in 1986. 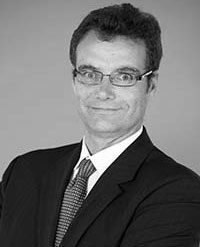 Mr. Burstall joined the firm in 1987 as an associate, and became a partner in 1994.